I am so excited that I'm featuring such a special book today for Mystery Monday. While I love reading cozies, I find that a good literary mystery always seems to hit the spot. 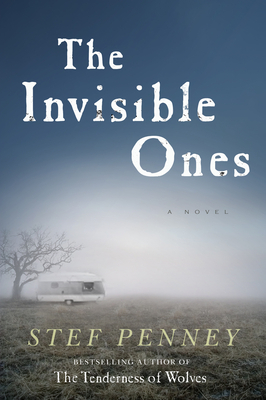 And THE INVISIBLE ONES by Stef Penney sure fit the bill. I had a hard time putting this book down because I was just riveted to the story. And it didn't hurt that I couldn't get a grip on where the story was going to go. I definitely appreciated THE INVISIBLE ONES; however, I'm not sure it will go down as one of my very favorites for 2012. I'm afraid that the two books I read prior to picking up THE INVISIBLE ONES were so amazing that they might have spoiled whatever book I next picked up. So in one way, I feel as if I might be more critical of this book that I normally would have been. That's not to say that I didn't enjoy THE INVISIBLE ONES because I did. I was extremely impressed with Ms. Penney's writing style. I thought she did an excellent job of telling this very unique story and I also found the characters to be interesting and well developed. In addition, I liked how she chose to tell this story -- through viewpoints of Ray, the investigator and JJ, a teen Gypsy boy. I thought she did a great job of alternating between each of their voices and she managed to make both voices distinct -- not always an easy accomplishment. There is no doubt that Ms. Penney has some major writing skills and I have already added her first novel THE TENDERNESS OF WOLVES to my future reading list. 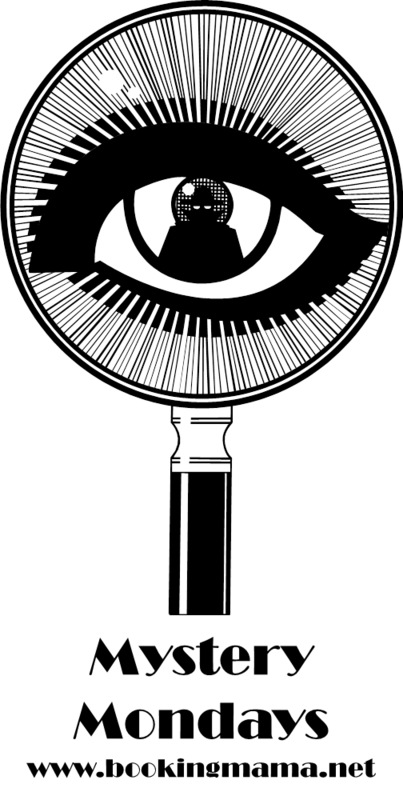 Another very good thing about THE INVISIBLE ONES was the story itself -- and of course, by that I mean the mystery aspect too. It only took a few pages for me to become involved in both Ray and JJ's lives and I appreciated seeing how their characters evolved throughout the novel. But the real strength of this novel was the mystery itself. I thought how the secrets of the story unfolded were fantastic! There were so many twists and turns and I felt as if it was really presented well to the reader. And don't even get me started on the surprise (or should I say shocking) ending. Suffice it to say, the author managed to make my jaw drop. Maybe I'm just naive, but I can honestly say that the ending blew me away just a bit! Besides being a very well written mystery, THE INVISIBLE ONES also appealed to me because I feel as if I learned something while reading it. (I know -- many of you are cringing that I get my "history lessons" from fiction, and yes, I do know the risks of doing that!) Since many of the characters in this novel are gypsies, the author gives details of their lifestyles, as well as some Romany history, throughout the story. In fact, just to show you how much I learned, I had no idea that there were gypsies living in England in the 1980s. Needless to say, I was fascinated by this culture! Since THE INVISIBLE ONES is a literary mystery, I do think it would be interesting for book groups to discuss. There is a reading guide available with ten thought-provoking questions. Some of the themes you might want to talk about are the Romany culture, stereotyping, prejudice, loss, grief, luck, hope, and secrets. I can assure you that you won't be lacking for things to discuss. 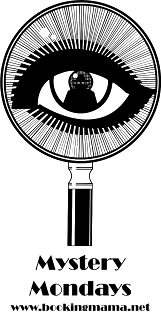 I recommend THE INVISIBLE ONES to fans of literary fiction, mysteries, and even historical fiction. I think it's a well written novel and the ending just might knock your socks off! Well, it is tough to find literary mysteries that stay with you. 90% of them (at least for me) are easy to read but often forgettable. Not everyone can be a Tana French. I have found that it definitely makes a difference what book you read BEFORE you read another book, which is really unfair in a way, but it just does, and there's no help for it! Literary mysteries can be hit or miss for me - sometimes it seems they get more caught up in the writing over the mystery. This sounds like it's got a good story and that it's worth reading.